Hey guys! 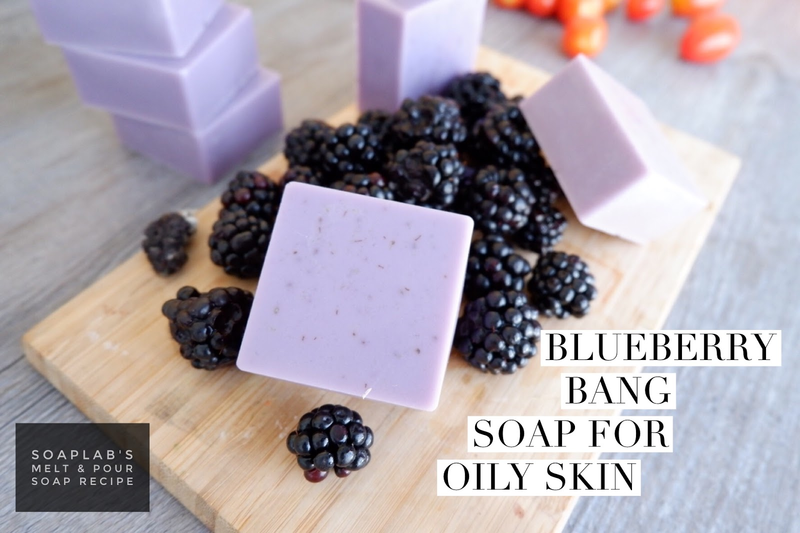 Today we will be teaching you how to make Blueberry Bang Soap for oily skin. Melt and pour soaps are a great way to make high quality, easy to make homemade soaps. To make this soap you will need SoapLab’s Handmade papaya soap base with blueberry extract and juice, with acai berry fragrance oil. The papaya soap base helps to exfoliate the skin, which removes dead skin and rejuvenates the skin. The blueberry extract and juice, is extremely rich in antioxidants which helps brighten up dull looking skin, and makes it look younger. It also helps to regulate sebum, by maintain natural oils. Finally; add acai berry fragrance oil for a delicious smell and violet mica for a vibrant color.